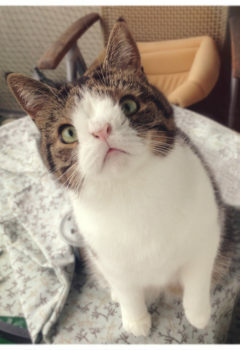 Monty is a special little boy born with chromosome abnormalities, adopted from an animal shelter. He is an ambassador for animals in need and is spreading happiness around the world promoting the message of “Looking different doesn’t mean you can’t be fantastic!”. Monty loves to snuggle, play with toys, and find the sunny spots to sleep in on the rug.